As any content creator knows, understanding your audience is key to success – and for podcasters, that includes having a good sense of where listeners are tuning in. 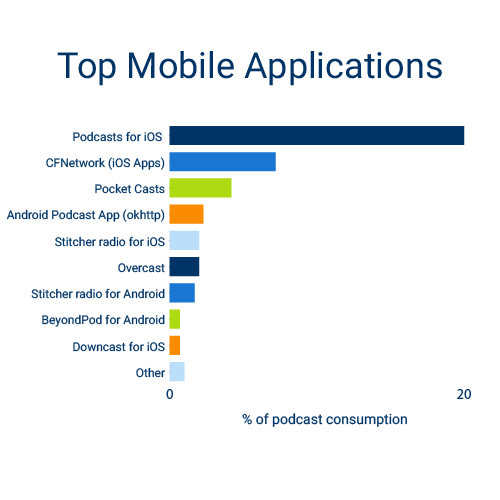 Armed with solid information about which applications and platforms consumers are using at the highest rates, podcasters can make necessary decisions about where to invest time, energy, money and other resources. To help our customers better understand their audience, RawVoice / Blubrry is sharing that information with the tens of thousands of podcasters who use our services, and the podcasting community as a whole. Following is a breakdown of global statistics data from April 2016, constituting a sampling of over 40,000 shows and over 100 million listener downloads and on-demand podcast plays. 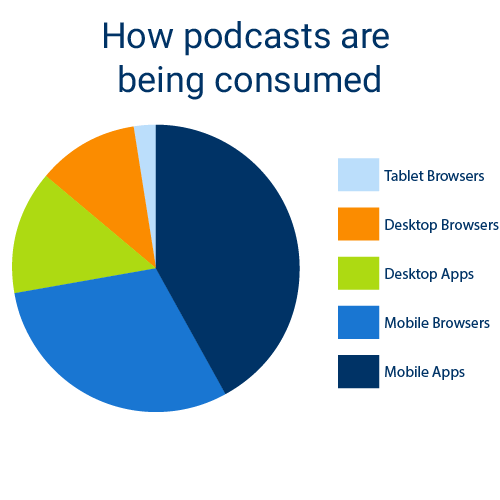 We’ve been collecting, analyzing and studying podcast statistics data since 2006, and recently have seen fairly rapid changes in this ever-evolving space. Some of the data you’re about to read may surprise you. Note: The data points below only highlights the top 30 clients with 100+ clients referred to in any category as other.. The Takeaway: While Podcasts for iOS still reigns, all those other mobile apps add up to an even-bigger chunk of listeners. Don’t ignore Android apps, and pay particular attention to up-and-coming apps with loyal followings, like PocketCasts and Overcast. Sadly though, since Stitcher was acquired, it has lost 3-4% of global market share according to our data. The Takeaway: While global listener volume is continuing to increase across all platforms, it is very apparent to our month to month, year to year data that Android is making significant gains in the global podcast ecosphere. 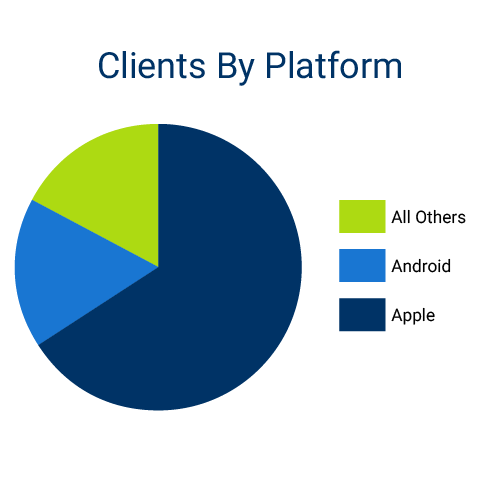 For the first time in many years we are seeing a significant increase in Android consumption, specifically, applications that support Blubrry’s one-click Subscribe on Android that are now breaking out in the top 30 used. The averages above are calculated from our filtered totals that appear in our client’s individual podcast statistics dashboards. 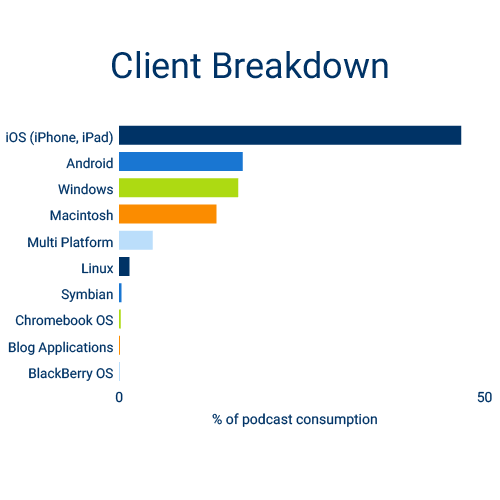 These totals do not include our enterprise clients like ESPN or ABC, nor do they include media buyers that utilize our enterprise solutions for measuring their podcast advertising campaigns. There are over 100 additional applications and clients that are not included in this list, as they have less than 1 percent of global market share. News, media agencies, podcasters, and bloggers are welcome to quote this information so long as full attribution to Blubrry/RawVoice, with a hyperlink to this article, is provided. I can’t believe the great job you’re doing. I’m working on the same but at the European market. Hope we can do something together.